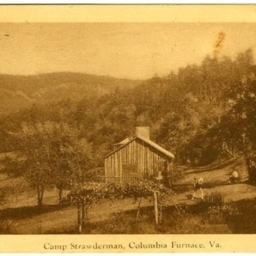 Photograph taken by William Hoyle Garber showing Camp Strawderman, an all girls summer camp located near Columbia Furnace Virginia, west of Edinburg. 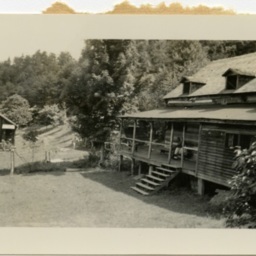 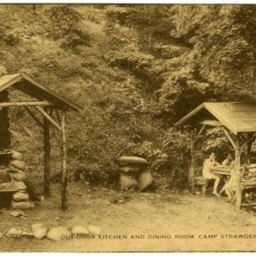 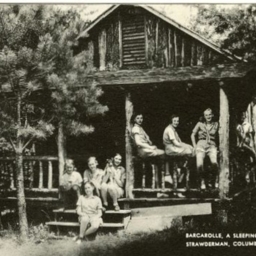 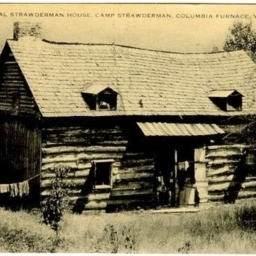 Postcard with an image of the out-door kitchen and dining room at Camp Strawderman which is an all girls camp located near Columbia Furnace in Shenandoah County Virginia. 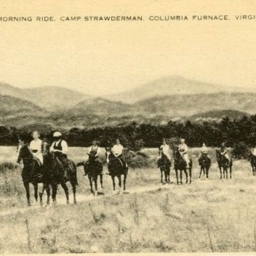 Postcard showing an image of individuals during a morning horse ride at Camp Strawderman which is an all girls camp located near Columbia Furnace in Shenandoah County Virginia. 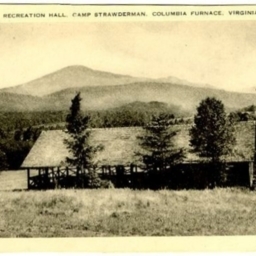 Postcard showing a picture of the recreation hall at Camp Strawderman which is an all girls camp located near Columbia Furnace in Shenandoah County Virginia. 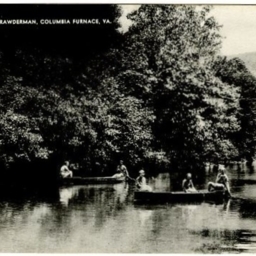 Postcard with an image of individuals boating at Camp Strawderman which is an all girls camp located near Columbia Furnace in Shenandoah County Virginia. 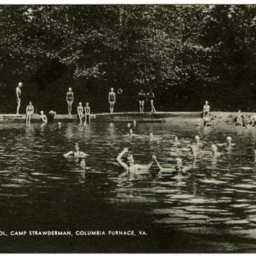 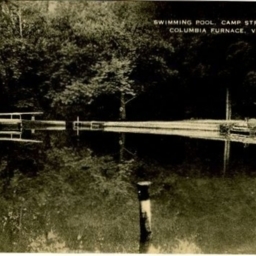 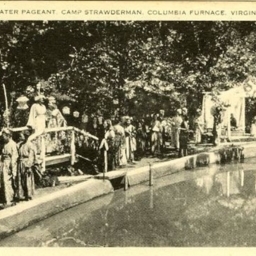 Postcard showing a picture of the swimming pool and swimmers at Camp Strawderman which is an all girls camp located near Columbia Furnace in Shenandoah County Virginia. 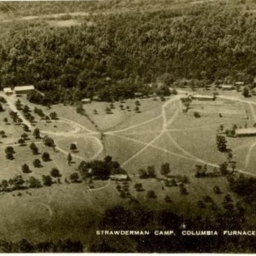 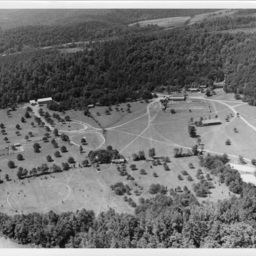 Postcard with an aerial photograph showing Camp Strawderman which is an all girls camp located near Columbia Furnace in Shenandoah County Virginia. 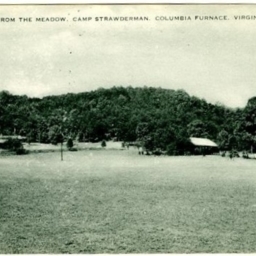 Postcard with an image taken from the meadow of Camp Strawderman which is an all girls camp located near Columbia Furnace in Shenandoah County Virginia. 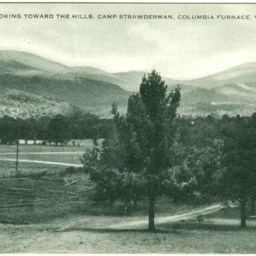 Looking Toward the Hills, Camp Strawderman, Columbia Furnace, VA.
Postcard with a photograph of Camp Strwderman, all girls camp located near Columbia Furnace in Shenandoah County Virginia, showing mountains in the background. 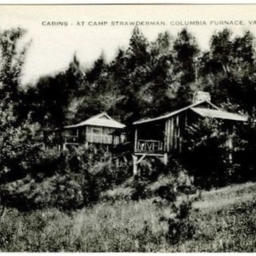 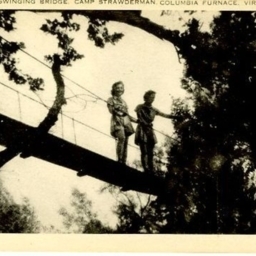 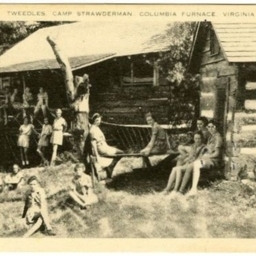 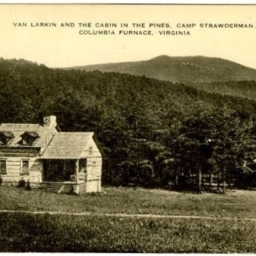 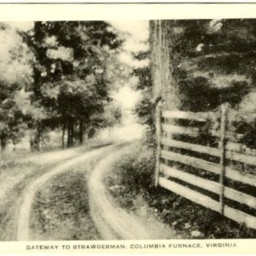 Postcard with a picture of the gateway to Camp Strawderman which is an all girls camp located near Columbia Furnace in Shenandoah County Virginia. 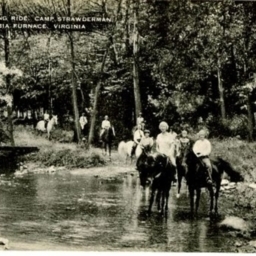 Postcard with a picture of individuals on a "morning ride" along a creek at Camp Strawderman which is an all girls camp located near Columbia Furnace in Shenandoah County Virginia.